The User Agent Switcher extension is a secret agent in disguise for Firefox. You can put on your IE hat and slip past virtual bouncers into Internet Explorer-only websites; blend in as an iPhone and explore the web’s mobile underbelly; or flash your fake Google ID card and get the V.I.P. treatment. User Agent Switcher is simple, yet powerful. It adds a toolbar button that you can use to toggle between different user agent strings. User Agent Switcher overrides Firefox’s default user agent, tricking websites into thinking you’re using a different browser. Your browser sends its user agent, which contains the browser’s version and operating system, whenever you connect to a website. Websites can detect the browser you’re using and serve different content — this is why iPhone and Android users see special mobile websites when they browse the web. Like most Firefox add-ons, User Agent Switcher [No Longer Available] is available in Firefox’s add-ons gallery. After it’s installed, you can right-click your toolbar, select Customize and put the User Agent Switcher button anywhere you like. It’s happened to all of us, although it happens less often these days. You click a link expecting to see a web page, but you’re locked out. “This website requires Internet Explorer,” it says. Does it really require Internet Explorer? Not usually. With the User Agent Switcher extension, you can disguise Firefox as Internet Explorer and slip right in. Yuck. Let’s click the User Agent Switcher menu and pretend to be Internet Explorer. Now we can slip right in. As far as the website is concerned, we’re using Internet Explorer. Remember to switch your user agent back after you’re done. You wouldn’t want to inflate Internet Explorer’s usage statistics by pretending to be IE everywhere, would you? This won’t help if the website really is IE-only. Websites that use ActiveX controls are out; those only run in Internet Explorer. Try the IE Tab extension 11 Firefox Extensions That I Can't Live Without 11 Firefox Extensions That I Can't Live Without Read More if you encounter one of those sites — IE Tab runs Internet Explorer itself in a Firefox tab. Select the iPhone user agent and you’ll appear as a mobile device. Websites won’t always function like they would on a real iPhone, but you’ll still see the mobile version of the website. This is a convenient way to test mobile websites, although you’ll still have to test them on a real device. 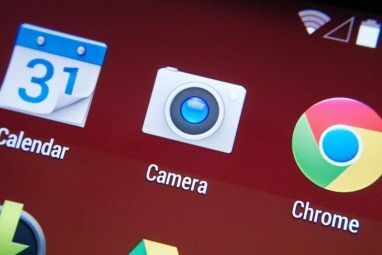 If you have a mobile device, you can do the reverse How To Load the Desktop Version Of Websites On Your Google Android Honeycomb Tablet How To Load the Desktop Version Of Websites On Your Google Android Honeycomb Tablet Tablets are great devices for reading and browsing websites. When you browse the web using a tablet however, you will notice that many websites automatically load their mobile version. 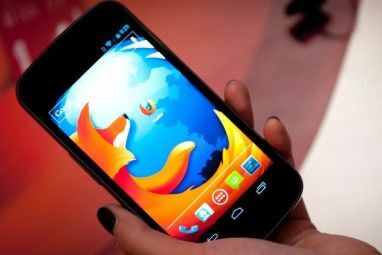 This is because the browser you... Read More and see full versions of websites in the palm of your hand. Sometimes a website wants to force you to create an account. You’ll click a link, even from Google, and see a sign-in or registration page. 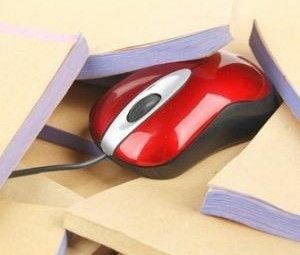 These websites don’t want to hide their content from Google, so they often allow full access to Google’s web crawler. You can select the Googlebot user agent string and Firefox will put on its best Google disguise. It’s possible for a website to say “Hey, look at your IP address — you’re not really Google!” But, in practice, few websites do. You shouldn’t use this method to trick your way into accessing paid content, but it’s a good alternative to BugMeNot 3 Ways to access 'Must Sign Up to View' Sites 3 Ways to access 'Must Sign Up to View' Sites Read More for getting past annoying registration screens. User Agent Switcher comes with a few popular user agents, but you can get user agents for any browser or device you can think of. Use the “Download lists of user agents to import” link in the extension’s options window to find other lists of user agents. After downloading a list in XML format, click the Import button and import the user agents from the XML file. Or, use the New button to add and customize individual user agent strings. I’m sure there are other clever uses for the User Agent Switcher extension — what do you use it for? I hate to tell you this, Chris, but Linux blocking is more common than you think. It's especially prevalent with media providers. Before I canceled my Netflix account in the big brouhaha, Netflix blocked Linux. I can't say if they still do so. Hulu requires a HuluPlus account. Amazon also block access from Linux devices. I suspect sites that do this assume Linux=mobile (I guess since Android is Linux-based, right?) and many say their content isn't licensed for mobile. I don't see how the platform should have anything whatsoever to do with it, but they do and they block it. Which means my Ubuntu-based computer at home cannot access my purchased content at Amazon. Netflix doesn't work on Linux because it uses Silverlight, which doesn't really work on Linux. That said, there's a Chrome OS plugin and an Android app (both of which use Linux), so it's quite frankly ridiculous that Netflix doesn't work on Linux. However, the Netflix CEO (Reed Hastings) is on the Board of Directors at Microsoft. Think about that -- it doesn't seem like a coincidence. I'm not sure about Hulu and Amazon, as I'm Canadian and don't have access to those services. I thought they used Flash and not Silverlight, though -- I'm dissapointed that they don't work on Linux. Haven't tried it yet, but came across it as a potential way of disabling the view of the ghastly Facebook Timeline on my own screen - other FB users will *still* see my profile horribly Timelined once FB forces it on my account, mind, but at least I hope I won't. If anyone out there is as allergic to the Timeline layout as I am, you might want to try out the Agent Switcher rather than any of the highly dubious miracle cures that usually come with tracking cookies, viruses and so on. Looks like the Facebook timeline won't show if you set your user agent to Internet Explorer 7. Thanks for the tip, Diane! I have been using Firefox for a long time, but never heard about this addon. It's made by the same guy who develops the excellent Web Developer toolbar extension. Hey Chris, I quit using FF because I could not get Safe Websites by Norton to work. Have you heard whether Norton is going to fix this so i don't have to keep using IE? Useful addon. There's a crappy website that my mom has had to use a few sites that don't block browsers, but block Linux! If she opens the site in Linux, it's just a blank white page, nothing else. Change it to Windows, OSX, or even FreeBSD, and it works fine. I was wanting to send them a very angry e-mail, but I couldn't find a contact address, that's BS to do that. I mean what's the difference between Firefox 9.0.1 in Linux and Firefox 9.0.1 in Windows? Great point. You can also user User Agent Switcher to switch reported operating systems -- I've never seen a website that blocks Linux like that, though. That's ridiculous!